Unsigned print from the Imogen Cunningham Trust used for reproduction in a book. From the estate of noted book designer Adrian Wilson. Trust stamp and notations on the verso. 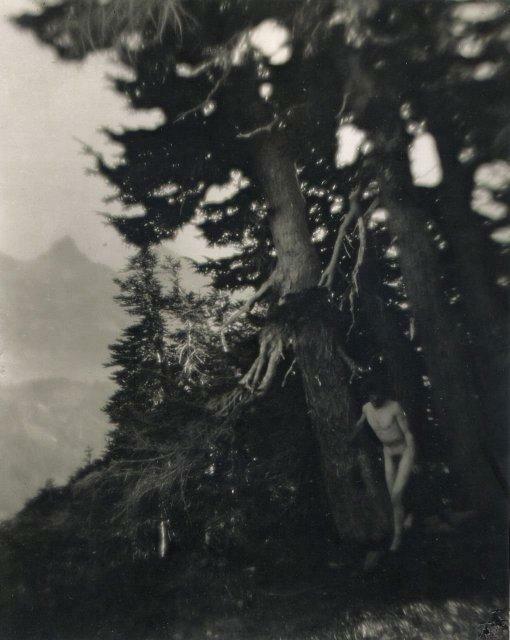 This photograph is part of a series of negatives Imogen Cunningham made of her husband, Roi Partridge. Several were printed in a Seattle newspaper at the time. They caused such a scandal that Imogen destroyed all her vintage prints. She did not print these images again until 1970, when she was awarded a Guggenheim Fellowship to support printing her negatives. Items Similar To "Imogen Cunningham: Roi on Mt. Raineer, 6"